Known as ‘The City of Oaks’ for its beautiful oak trees, Raleigh is a modern, energetic city in the heart of Dare County. 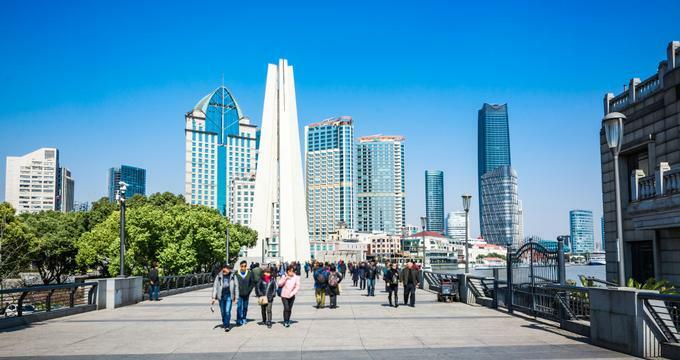 Offering more than 20 free attractions throughout the city, this capital city is ideal for a family-friendly vacation where you enjoy a variety of cultural, historical, and outdoor activities. The Marbles Kids Museum is dedicated to sparking imagination, discovery and learning through play. Established in 2009, the Museum features an array of interactive and hands-on exhibits that encourage children to explore and discover new things through experimenting and playing. The Museum features a variety of exhibitions and educational programs that are designed to build imagination through self-exploration of new ideas and experiences. The Marbles Kids Museum is located in the heart of downtown Raleigh and is open to the public Monday through Sunday from 9: 00 am to 5:00 pm and until 7:00 pm every Thursday and the first Friday of every month. The Museum Store sells a variety of items, toys, books, puzzles, and fun museum-related gifts. 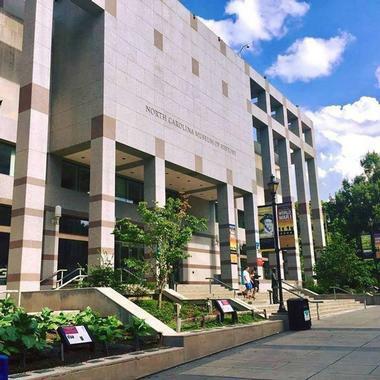 The North Carolina Museum of Natural Sciences is the largest museum of its kind in the Southeastern United States that is dedicated to the natural sciences. Located in the heart of Raleigh, the museum is spread across four buildings on three campuses, namely the Nature Exploration Center and Nature Research Center in downtown Raleigh; the former North Carolina Museum of Forestry in Whiteville; and the Prairie Ridge Ecostation satellite facility in northwest Raleigh. The oldest established museum in North Carolina, it features a collection of more than 1.7 million specimens of every kind of animal species from amphibians and reptiles to mammals, birds, and fish, as well as plant species, and geology and meteorite samples. 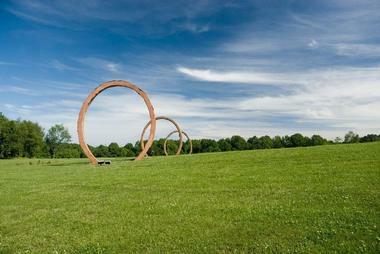 Based at the North Carolina Museum of Art, the Ann and Jim Goodnight Museum Park is a beautiful public space that connects art and nature with people through an array of public art installations by international artists. The park also features environmentally sustainable landscapes, miles of recreational trails, colorful and contemporary gardens, and a charming terraced pond, and offers perfect places for picnicking and enjoying the outdoors with family and friends. Visitors can participate in recreational programs and performing arts, meander along the Capital Area Greenway and wooded trails by bike or on foot or relax on the Ellipse lawn with lunch. Boasting dynamic architecture, modern white galleries filled with extensive collections of contemporary art, beautiful outdoor sculpture gardens, and innovative cuisine, the North Carolina Museum of Art is a must-do on a visit to the City of Oaks. Located on Raleigh's iconic Hillsborough Street next to the main campus of North Carolina State University, Pullen Park is a 66.3-acre public park in downtown Raleigh and the oldest public park in North Carolina. 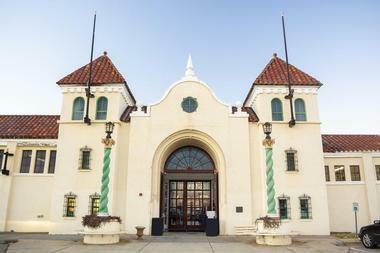 The park has several attractions and activities for the whole family to enjoy, including the 1911 Pullen Park Carousel that is listed in the National Register of Historic Places, a miniature train that children can ride around the park, and kiddie boats and pedal boats to have fun on the lake. 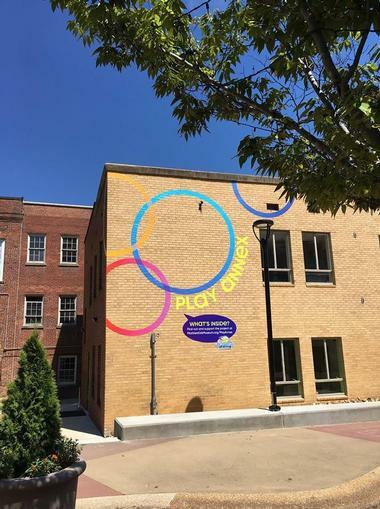 A themed playground focuses on art, nature, and history with four age-appropriate sections, and the park is also home to the Pullen Arts Center, the Pullen Aquatic Center, and the Theatre in the Park. 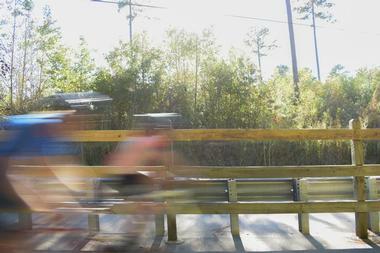 The 3,000-mile long system of trails known as the East Coast Greenway that connects Maine to Florida runs through the park. The North Carolina Museum of History hosts a variety of special events throughout the year, including wedding receptions, cocktail receptions, and holiday parties. Three spaces are available within the Museum to use for celebrations, including the Museum Lobby, which can accommodate up to 300 guests for a reception and up to 250 for a sit-down dinner and features a dance floor and a band. The Demonstration Gallery which is surrounded by three glass walls and is ideal for intimate gatherings and the Daniels Auditorium with state-of-the-art audiovisual equipment for individual presentations and performances, and a seating capacity of over 300. Arrangements can even be made for guests to have access to the exhibits and galleries to explore the works, and the Museum provides a list of preferred vendors for services such as catering, décor, flowers, and photography, and décor. 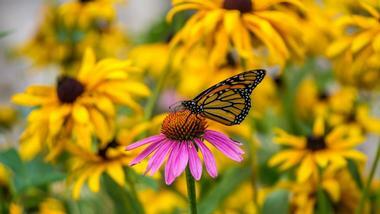 The JC Raulston Arboretum is a nationally acclaimed botanical garden with a diverse collection of landscape plants adapted for life in the Southeast, in particular, the Piedmont North Carolina area. 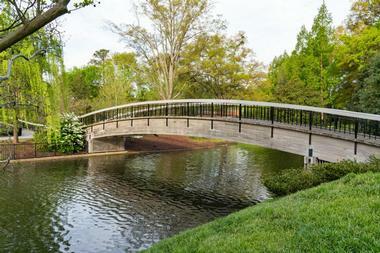 Covering 10-acres in the heart of Raleigh, the Arboretum is managed by the North Caroline University and is open to the public without charge. The mission of the JC Raulston Arboretum is to display a variety of plants that diversify the local landscape, as well as provide an educational, economical and environmentally viable institution for the community to enjoy. The Arboretum not only acts as a ‘living laboratory’ for the students of the North Caroline University to study and learn from but also provides educational experiences for the community and visitors of all ages. The JC Raulston Arboretum is located at 4415 Beryl Road in West Raleigh near the NC State Fairgrounds and is open to the public for free. The JCRA grounds are open every day of the year, however, is closed for several events throughout the year. Lake Johnson is a tranquil 150-acre lake surrounded by more than 300 acres of land which boasts 5.4 miles of trails, picnic shelters, concessions, facility rentals, along with plenty of water sports such as canoes, paddleboats, kayaks, sailboats, and stand-up paddleboards. 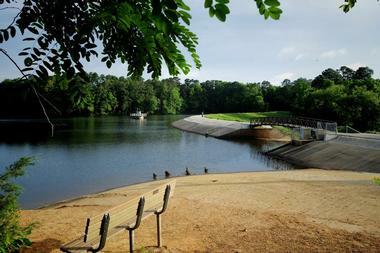 The lake is surrounded by Lake Johnson Park also allows personal non-motorized boat and non-trailered boat launches and provides excellent fishing for bream, crappie, carp, catfish, shell cracker, and largemouth bass, and the park offers access to Capital Area Greenway. 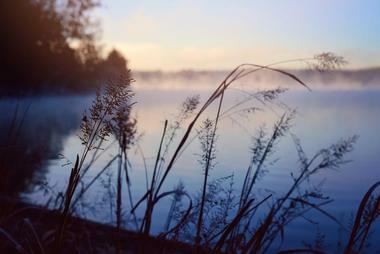 Admission to Lake Johnson Park is free and open daily from sunrise to sunset. 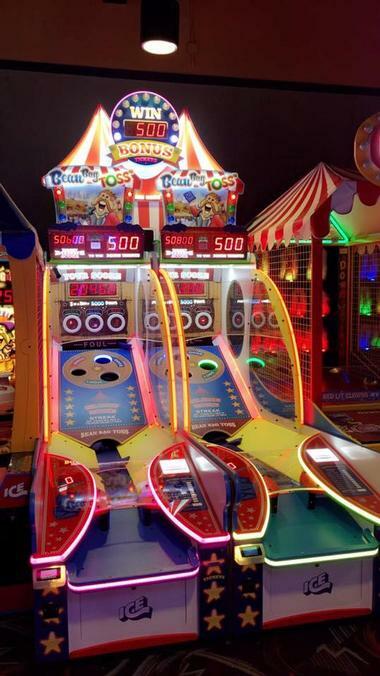 Buffaloe Lanes North is one of five Buffaloe Lanes Family Entertainment Centers that have been serving the community for the past 35 years. The center is a family-friendly bowling alley that features an award-winning bowling alley, flat-screen televisions, and snack bar. 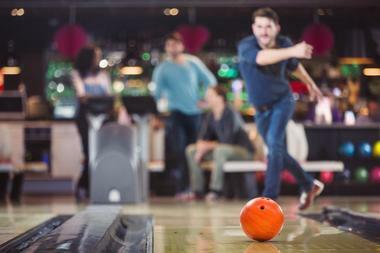 Buffaloe Lanes North in Raleigh hosts a bowling league and tournaments throughout the year, as well as being open to the public for family and friends to come and enjoy a night of bowling, live music, great food, and fun. The bowling alley also has starlight bowling with special lighting, parties and league nights. The RDU Observation Park is a public space where visitors can watch planes land and take off from Raleigh-Durham International Airport's 10,000-foot runway and listen to piped-in pilot-tower communications from the nearby Air Traffic Control Center via audio speakers on an elevated observation platform. The park also features a play area for children, a casual café in the General Aviation Terminal called the Crosswinds Café, grassy lawns for picnicking, educational placards, modern restrooms, and free parking. The RDU Observation Park also hosts birthday parties and other special celebrations, and the park is open from sunrise to sunset every day. The Raleigh Flea Market is located on Blue Ridge Road and features more than 600 indoor and outdoor vendors. Rated as one of the top flea markets in the country, the market was established in 1971 with just six tables and today has grown into a 20,000-square-foot indoor-outdoor extravaganza with hundreds of vendors selling a wide variety of arts and crafts, antiques, jewelry, handmade goodies, organic foods, home décor, furniture, and auto parts. Exuding a bustling and vibrant atmosphere, the market is the perfect place to spend the day with family, exploring the stalls and hunting for treasures. The Neuse River Greenway Trail is a 27.5-mile paved uninterrupted greenway in the Raleigh area that runs along the banks of the Neuse River from the Falls Lake Dam in North Raleigh to the town of Clayton on the Wake County line in southeast Raleigh. The trail offers a wealth of year-round outdoor recreation such as walking, hiking, jogging, running, rollerblading, mountain biking, and more, and the route passes several historic sites, suspension bridges crossing over wetlands and winding boardwalk areas. The Neuse River Greenway Trail is an integral part of the 1,175-mile Mountains-to-Sea Trail and the 3,000-mile, 15-state East Coast Greenway down the eastern U.S. The Raleigh Little Theatre is a community theatre that produces and presents up to 10 full productions each year and offers several comprehensive youth and adult theatre education programs. Established in 1936 to provide the community with theatre performances and theatrical opportunities for students, the Raleigh Little Theatre serves an audience of more than 40,000 people with shows each season and is professionally supported by on-site costume and scene shops that are managed by volunteers. 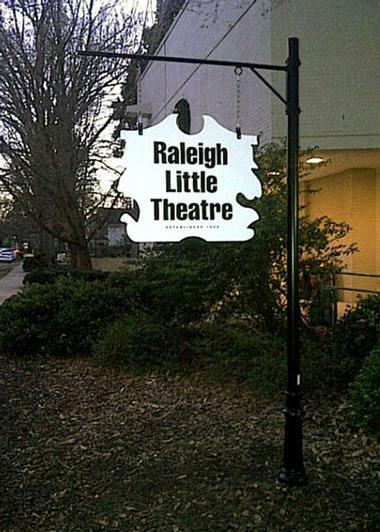 The Raleigh Little Theatre was the first theatre in the South to cast actors of color during segregation. Bounded by the northeastern shore of Lake Crabtree and Aviation Parkway in Wake County, Lake Crabtree County Park is a densely forested park between Cary, Morrisville, and Raleigh-Durham International Airport that features an array of attractions and family-friendly activities. The park features two children’s playgrounds, an observation tower, a boat dock where sailboats can be rented, and a system of hiking and biking trails crosses through the park. The lakeshore trail is very popular with hikers and bikers and connects the park entrance to the Black Creek Greenway-Old Reedy Creek Road. Lake Crabtree County Park hosts several sporting events throughout the year, including the Valor Games Southeast, the SailPack Women's Intercollegiate Regatta, and the Triangle Tango Regatta. Frankie's Fun Park is a family-friendly amusement park for all ages that features an array of fun-filled and exciting attractions and activities. The park features three different go-karting tracks, mini-golf courses, nine batting cages, laser tag, squirt boats, a 60-foot 360° Discovery Ride, a multi-level fun house, and over 100 arcades. The park is also home to one of the largest Johnny Rockets restaurants in the country and the new XD Dark Ride, which offers an unforgettable 4D interactive experience. Other rides, slides and themed attractions at the park include WindStarz, SkyTrail, Spiderweb, Sidewinder, Rookie Track, Bumper Boats, and Shamrock. 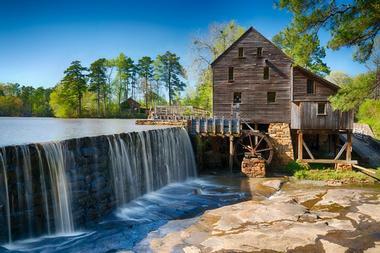 The Historic Yates Mill County Park is a 174-acre wildlife park centered around the fully restored, gristmill that dates back to circa 1756 and is Wake County’s last remaining operating gristmill. 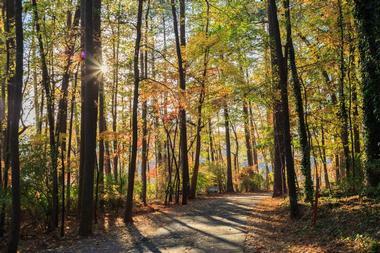 Located five miles south of downtown Raleigh, the park features a 24-acre pond, which is fed by Steep Hill Creek, several hiking and mountain biking trails, and a modern visitors center that provides a wealth of information on the Historic Yates Mill, the milling industry and the natural history of the area. The center also features an auditorium and space for research by the North Carolina State University, classrooms, and restrooms, and guided tours of the mill are available by appointment. The Mill is open seasonally and admission the park is free. 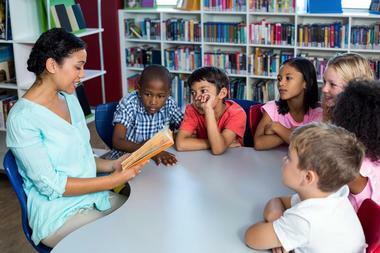 Read With Me is a children’s bookstore, local art gallery and reading workshop in downtown Raleigh that focuses on inspiring children to read and explore the world of literature. Owned and operated by former school librarian and teacher, Christine Brenner, Read With Me features an exciting selection of contemporary and diverse children’s books for kids up to the age of 17 years. A Creativity Corner gives children the opportunity to develop illustration and writing skills and create their book-themed crafts, and a book club encourages visitors to share their love of books and reading together. Hemlock Bluffs Nature Preserve is 140-acre preserve in the Research Triangle region of North Carolina that protects a population of Eastern Hemlock trees and other typical western vegetation typically found in the Appalachian Mountains. Jointly owned by the state who owns 97 acres of the preserve and the town of Cary who owns 42 acres of the land, the preserve features north-facing bluffs that emulate the cool mountain conditions that have allowed certain plant communities to have survived here since the last Ice Age. The park is also home to the Stevens Nature Center, which located on Cary's portion of the preserve and provides information for visitors about the natural history of the area and the fauna and flora that reside in it. There are also around three miles of hiking trails to enjoy. Located in the Crabtree Valley Mall, POPALOPS Candy Shop is home to the world’s largest gummi bears, weighing no less than half a pound. The store specializes in gummi bears of all sizes and colors which can be bought in store or ordered online and delivered worldwide. The gummy bears are 1,000 times larger than a regular gummy bear and are themed for special occasions such as Halloween and Christmas. They come in a wide variety of flavors, and there are gummy derivatives as well such as gummy hearts drizzled with raspberry-and-banana-flavored veins. The Mordecai Historic Park is centered around the Mordecai House otherwise known as the Mordecai Plantation or Mordecai Mansion, which was the birthplace and home of President Andrew Johnson. Built in 1785, the mansion is a registered historical landmark and museum and surrounded by the beautiful Mordecai Historic Park, both of which are open to visitors to explore. 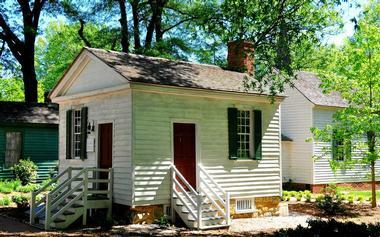 Located in the Mordecai Place Historic District next to the Historic Oakwood neighborhood, the Mordecai Mansion is oldest residence in Raleigh that still maintains its original foundation and the surrounding park features several historic attractions such as the Ellen Mordecai Garden, the Allen Kitchen, the Badger-Iredell Law Office, and the beautiful St. Mark's Chapel. The State Farmers Market in Raleigh is one of four regional farmers markets located strategically located across the state to serve both large and small North Carolina farmers. The market in Raleigh boasts 30,000 square feet of space which houses a wide variety of stalls selling fresh produce such as fruit and vegetables, dairy products, prime grass-fed meat, organic honey, and fresh flowers. The market also has a 15,600-square-foot Market Shoppes building in which more stalls are housed offering services such as custom framing, wine-tasting, freshly baked bread, and pastries and three restaurants. Specialty shops selling organic soaps and lotions, old-fashioned candies and sweets, antiques, and gifts are also available. Other buildings at the market include the Truckers building where fresh fruit and vegetables are sold; the Wholesale Terminal which houses five wholesalers; and Market Imports offering unique architectural elements, ironwork, stone, pots, fountains, pottery, and water features around the world. The Durham County Library is a regional library system with several branches that have been in service for more than a century. The full-service library offers traditional library books and magazines, audiobooks, downloadable ebooks, CDs, DVDs, online databases for research, along with more than 200 public access computers and complimentary wireless Internet throughout the building. The library also offers over 5,000 educational and literacy programs for children, teens, and adults and welcomes more than 2 million visitors annually. 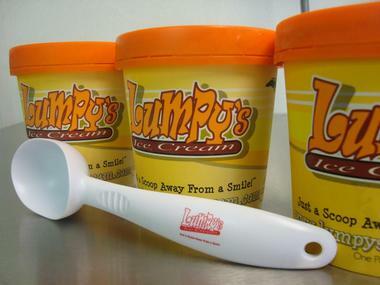 Lumpy’s Ice Cream is a traditional ice-cream parlor that serves homemade ice-cream in a variety of flavors. Founded by Buck Buchanan in 2001, Lumpy’s Ice Cream has been growing organically ever since and is now one the go-to neighborhood spots for mouthwatering creamy treats. Flavors include Kenny's Kickin Chocolate, Aunt Betty's Blueberry, Butter Pecan, Madd Mac's Mint chip, Vernon's Very Vanilla, Colleen's Cookies, and Cream, Denise's Chocolate Brownie Addiction, Ramonas Rockin Rasberry, and more. 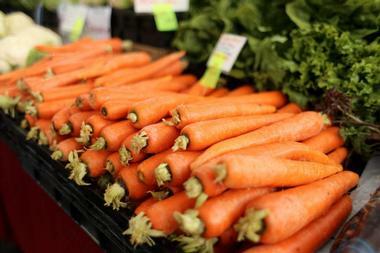 The creamery’s ice cream is made from scratch with locally sourced and organic ingredients. 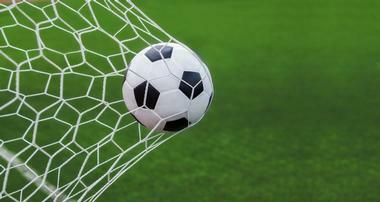 North Carolina Football Club is a professional soccer team based in Cary, a suburb of Raleigh. Formerly known as the Carolina RailHawks, the club was founded in 2006 and currently plays in the USL Championship. The team is based at the 10,000-seat WakeMed Soccer Park where they play their home games in the team colors of Atlantic blue, cardinal red, and Southern gold and are currently in pursuit of becoming a Major League Soccer franchise. WakeMed Soccer Park features a purpose-built stadium, two lighted practice fields, and four additional fields where the team practices and plays home matches. The main stadium seats 10,000 and Field 2 boasts 1,000 permanent bleacher seats. The Groovy Duck Bakery is a charming neighborhood bakery that makes and serves a variety of freshly baked goods on a daily basis. 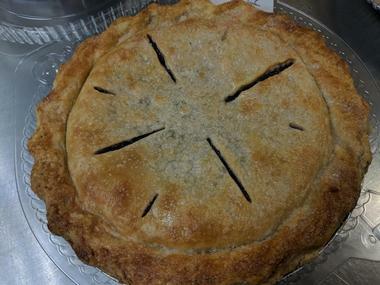 The little bakery specializes in muffins, offering a wide selection of flavors both savory and sweet, as well as cookies, cupcakes, celebration cakes pies, pastries, bars, tarts, and other decadent creations. Baked goods are offered in several sizes according to needs from regular to half size, quarter size and miniature and the bakery have a comfortable seating area with repurposed furniture to relax over a latte and muffin. 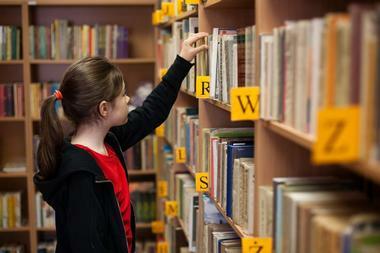 There is also a small children’s area and easy and convenient parking. The Bond Brothers Beer Company is a locally owned and operated brewery in historic downtown Cary that produces 14 unique beers on tap and has a robust barrel sour program. Helmed by certified Cicerone Brewmaster Whit Baker and his crew, the brewery produces a variety of beers from Stouts and IPAs to Saisons and Sours. The modern industrial building in which they are based features over 9,000 square feet of brewery space, and a stylish taproom and beer garden where visitors can kick back and enjoy sampling one of the 14 brews on tap. 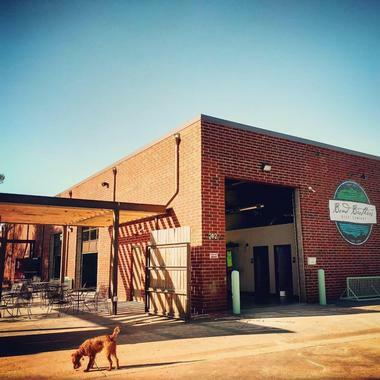 The Bond Brothers Beer Company also offers monthly guided brewery tours and is a family and dog-friendly spot.